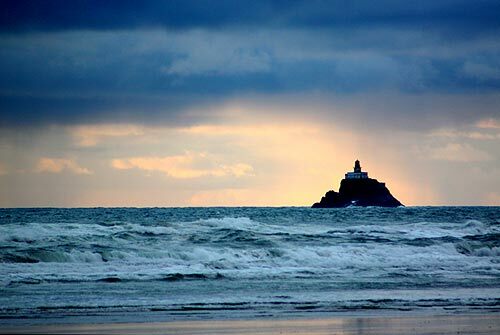 (Cannon Beach, Oregon) – One mysterious sentinel offshore from Cannon Beach and Seaside has captivated visitors for decades, sitting about a mile out to sea, with the vague outline of a lighthouse in that fuzzy distance. 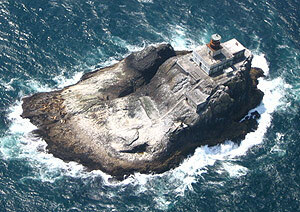 Sitting on top of a blob of basalt rock, what is called the Tillamook Rock Lighthouse makes for many questions. 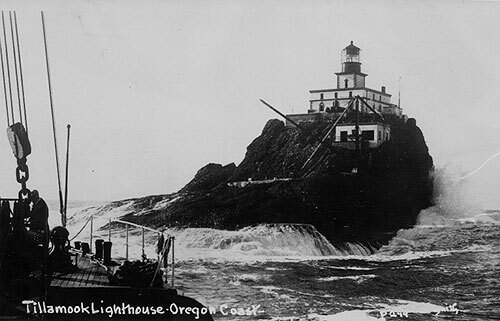 Like many Oregon coast lighthouses, Tillamook Rock Lighthouse came into existence about 1880 and wasn't around for all that long. It was decommissioned in the 1950's. In that time, however, it snagged the nickname of “Terrible Tilly.” and for good reason. Storms that battered that rock terrorized those stationed there every winter, with the years 1880, 1894 and 1919 among the worst. But it was, according to the Cannon Beach History Center and Museum, the storm of October 21, 1934 that nearly broke Terrible Tilly. The museum passed along a large amount of information about the destructive tempest, including the following dramatic description from former lighthouse keeper Sam Churchill. Storms would periodically send waves crashing into the lantern room and snuff out its light over those decades, but this was one especially devastating. The museum's Liz Johnson said the shoreline was getting battered with winds up to 109 mph. Avalanches of seawater came crashing over the rock and lighthouse complex. Basalt rock was actually getting shaved off the western end of the rock, and boulders and other debris were tossed up into the lantern room. Johnson said the lens at Tillamook Rock Light Station was a Fresnel, a multi-sided set of prisms behind which the lamp shone out from. The storm had knocked out 12 of the panels of the lighthouse's outer glass and many of the prisms were in millions of pieces. An emergency standby lamp was made and protective panels were put up to keep out the raging seawater. Surprisingly, there was actually a phone on the lighthouse in this period, but it was dead in the midst of this storm. Luckily, according to Johnson, assistant keeper Henry Jenkins was an experienced ham radio operator and an excellent tinkerer. He began fiddling with pieces of the phone and other objects and managed to piece together a working short-wave radio. “As the storm continued, a new radio station was born behind the stone walls of the Lighthouse,” Johnson said. After some time scanning the various wavelengths for a dedicated radio aficionado, Jenkens found an amateur operator in Portland and explained their emergency situation. That message was relayed immediately to authorities and those at the lighthouse depots in Portland and Astoria began preparations quickly. Five days later, after the storm had gone, the lighthouse keepers' colleagues took a kind of ship known as a lighthouse tender to the beleaguered and battered crew. Interestingly enough, the name of the ship was the Manzanita. Johnson said the lighthouse was quite damaged, and the famed Fresnel lens had to be replaced. 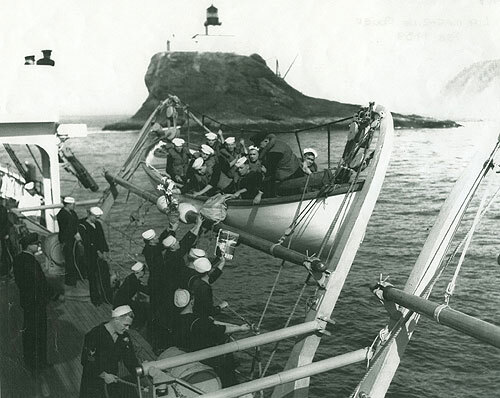 That took thousands of dollars, and finally about four months later – in February of 1935 – the light was replaced with an aero-marine revolving beacon, which was electrical. There is even more on this lighthouse at the Cannon Beach History Center and Museum, located on Sunset Avenue (the middle entrance to Cannon Beach). 503-436-9301. More on the lighthouse and Cannon Beach below, and at the Cannon Beach Virtual Tour, Map.